Joyce is a Senior Education, Youth, Orphans and Other Vulnerable Children’s expert with 19 years of progressive experience in education program management, child and youth protection and development, strategic plan development, curriculum development, child protection and youth development in emergencies and post conflict, capacity building, psychosocial programming, workforce development, livelihoods and project design and management. Joyce is the Executive Director of AfriChild Center Makerere University Kampala Uganda. Prior to that, Joyce worked for USAID/Uganda Mission as a Senior Youth and Orphans and Vulnerable Children’s Advisor providing strategic guidance to the Mission and child and youth protection and workforce development. 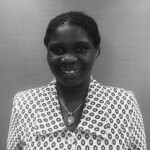 Joyce pioneered the Program Learning Group (PLG) in Uganda serving as a PLG Coordinator. Previously, she worked for International Rescue Committee Uganda program in various capacities as a Child and Youth Development and Protection Coordinator, Education Advisor, Manager, and Officer in conflict and post conflict northern Uganda. She also served as a high school principal and Board Chairperson of Bethel High School. Joyce is a certified trainer of trainers in Action for the Rights of Children (ARC), psychosocial programming for children and adolescents, and child rights and participatory training methodology. She has a wealth of management experience in diverse settings including with donor agency, NGO, schools and in remote, insecure field sites. Joyce has extensive experience in cross-cultural team settings, including the promotion of coordinated efforts between academia, policy makers, donors, sectoral, communities, NGOs and government agencies. Joyce holds a Masters Degree in Education Policy, Planning and Management and a Masters Degree in Development Studies.